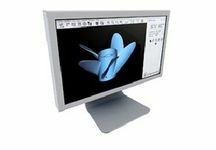 Get the reliability and flexibility of a professional-grade 3D production system at an affordable price. 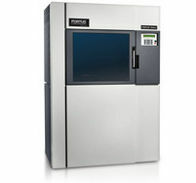 Choose from two configurations of the Stratasys Fortus 360mc 3D Production System. These systems have different build sizes and material bays, but both were designed for the most challenging applications requiring meticulous accuracy and precise repeatability. Gaining flexibility means saying yes to more opportunities. The Fortus 360 builds parts in three different materials for more options in prototyping, tooling or digital manufacturing. 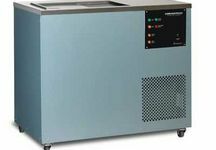 The Fortus 360mc 3D production system comes in two configurations: the basic system, which builds parts as large as 355 x 254 x 254 mm (14 x 10 x 10 in. ), or an optionally upgraded system that builds parts as large as 406 x 355 x 406 mm (16 x 14 x 16 in.) and also features two material bays for maximum uninterrupted production. With four layer thicknesses to choose from, you can fine-tune your desired balance between FDM’s finest possible feature detail and the fastest build. Fortus 360mc throughput is 70 percent higher than on the Fortus 250mc, so you can further compress your design cycle, work iteratively and increase production. Insight software prepares your CAD program’s STL output for 3D printing, reducing both your cost & print time whilst increasing accuracy. Stratasys adds FDM Nylon 12 to its Fused Deposition modelling (FDM) technology creating tougher, more flexible unfilled nylon parts than other additive manufacturing technologies can.